Hello students, parents, family and friends. Welcome to my page. Being a life-long Desoto County resident I am proud to work and give back to my community. My parents chose Hernando as their home so I attended grades K-12 in Hernando. My husband and I believe in DeSoto County so much that we have chosen to raise our children here as well. After graduating from Hernando High School in 1996, I obtained my Bachelor of Business from the University of Mississippi. Unhappy in the business world, I decided to pursue my dream of being an educator. After returning to school, I began teaching at Olive Branch High School in 2002. Being certified to teach Business, Social Studies and Math I taught a plethora of courses during my 10 years in the classroom. I obtained my Masters degree in Curriculum and Instruction from Ole Miss in 2006. After our second child, I decided to return to school to obtain a Masters in Educational Leadership, which has given me the great opportunity to work at the best high school in the state of Mississippi, Lewisburg High! 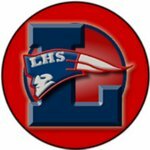 I now proudly serve as your Assistant Principal at Lewisburg High School where I hope to continue to have a positive impact on students’ academic achievements.